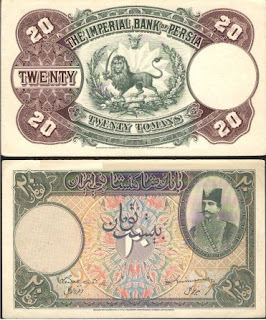 This is another Qajar banknote. There are few more in Wikipedia as seen on the second link. As you see, the English name of Iran is stated Persia in all Persian Banknotes.